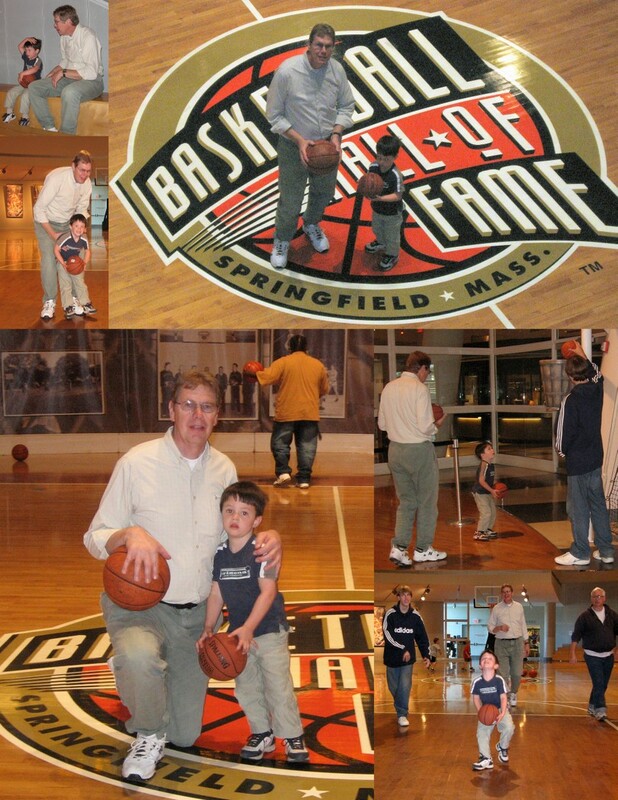 Christopher, Tim, Kathryn, Eric & I visited the Basketball Hall of Fame in Springfield MA Saturday. Many years ago I had gone to the old HOF. We played on the court and shot baskets at both the kids hoop and regular court.